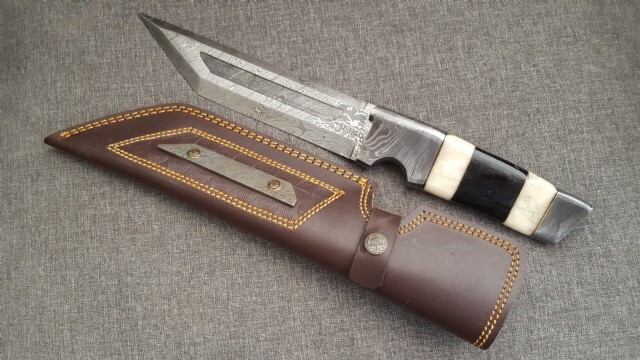 Impressive hunter with 20cm Damascus sharpened blade. 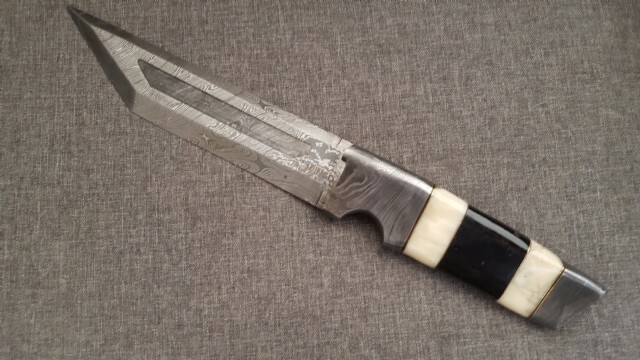 Chunky bone and black horn handle with Damascus parts and spacers. 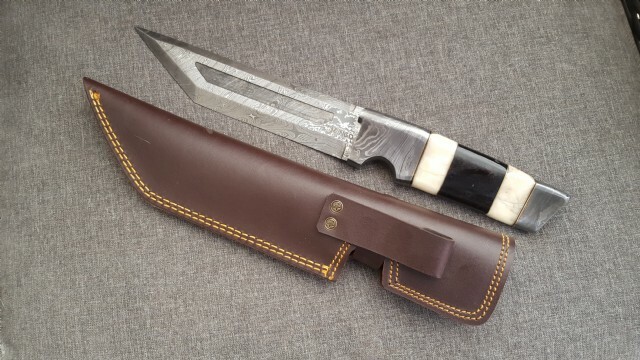 Comes with quality detailed genuine leather sheath.